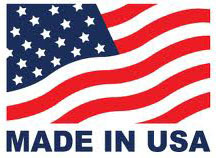 Since 2002 MADE IN U.S.A. The TOUR EDITION® Difference: Engineered and designed using the finest manufacturing process yielding tighter tolerances in dimension and weight being more efficient. Creating a feel second to none. Whether you are looking for a comfortable velvety dry feel (our Tour Edition TEG3 exclusive compound or a grippy tacky feel( our Tour Edition TE-TAC3. Tour edition grips are all designed and manufactured with concentric walls, consistent thickness, no seams to separate, unravel or feel. 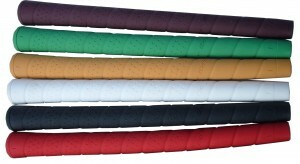 TOUR EDITION Grips, now producing for more than 10 years. TOUR EDITION grips offer +/- ½ gram tolerance. The best in the industry. We are proud to produce a range of feels designed to meet the preferences and desires of all golfers, from beginners to professionals. Tour Edition advanced Technology and Engineering makes all our grips better in balance, tighter tolerances, giving golfers and edge that does not exist with any other grips. We have and continue to produce grips in any color, feel and durometer in both .580 and .600 core sizes.